Neverwinter: 20% off All Bags! We all know that feeling: You finally cleared the dungeon and with great effort and good teamplay you emerge victorious from the final fight. It’s time to reap your well-earned rewards but all your bags are already brimmed! For one weekend only, Lord Neverember has decreed a 20% discount on all bags from the ZEN Market! You can find the new Runic Bag of Holding as well as others ín the Zen Market under “Bags”. 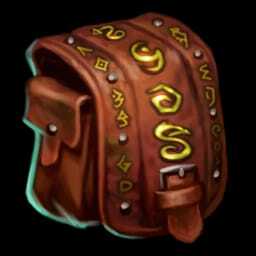 Runic Bag of Holding (36 slots) – 20% off! Greater Bag of Holding (24 slots) – 20% off! Bag of Holding (12 slots) – 20% off!